Futurama 's Season 7 finale takes a trip in animation's time machine. Futurama wraps its strong sixth season Thursday with a stylistic head trip through three toon prisms. 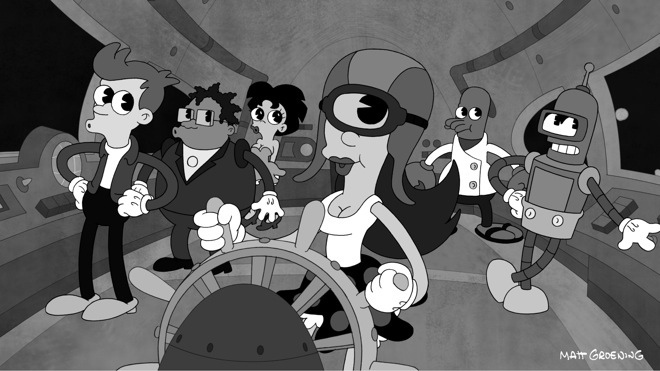 The black-and-white segment of “Reincarnation,” previewed above, looks like it stepped out of a time machine after hanging out at Fleischer Studios, whose mind-bending toons like Betty Boop and Superman sequenced the genes for animation’s future in the ’30s and early ’40s. Details are sparse on the videogame segment, but good things come to those with no expectations. It’s a philosophy perfectly suited to Futurama ’s several reincarnations over the years — hence the episode’s title. Theoretical physicist Stephen Hawking also makes a “special guest appearance” in the season-ending show. Let us know in the comments section below what you thought of Futurama ’s sixth season, and what you’d like to see in the next two years. Those who think The Simpsons and Futurama are running out of renewable energy are invited, but should expect at least a flaming belch or two. 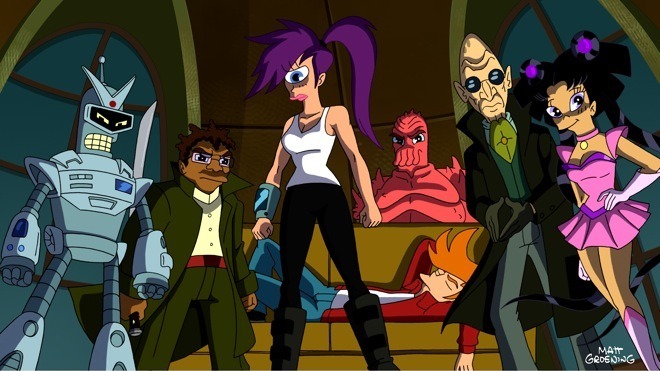 Futurama airs Thursdays at 10 p.m./9 p.m. Central on Comedy Central. Anime's stylistic signifiers rear their awesome heads in “Reincarnation,” which finishes off Futurama until 2012.